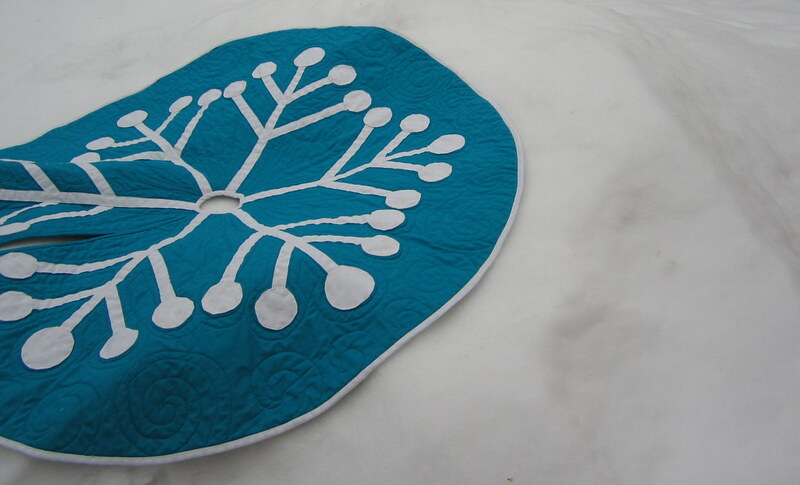 Blotch and Thrum: Snowflake tree skirt, and why I am no longer at home to white on white fabric. 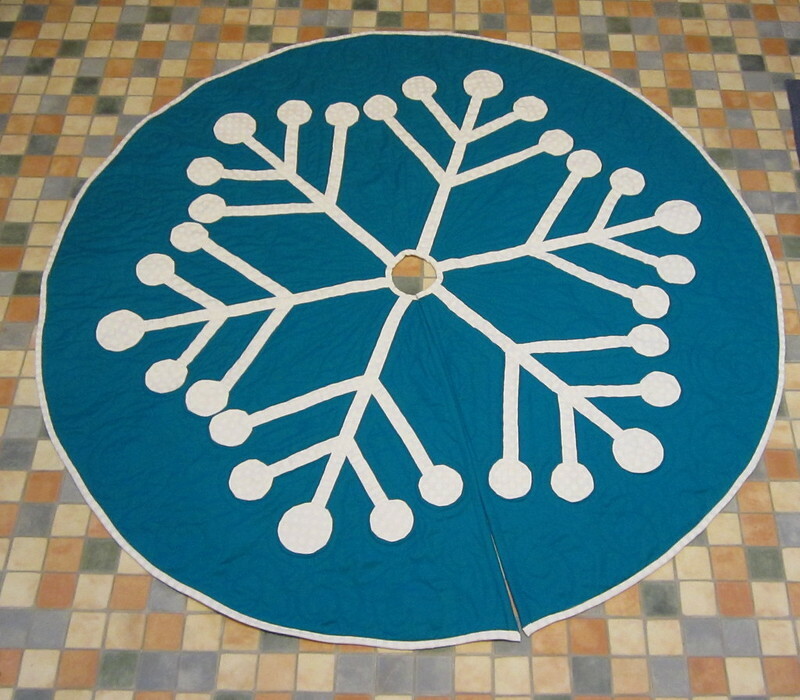 Snowflake tree skirt, and why I am no longer at home to white on white fabric. 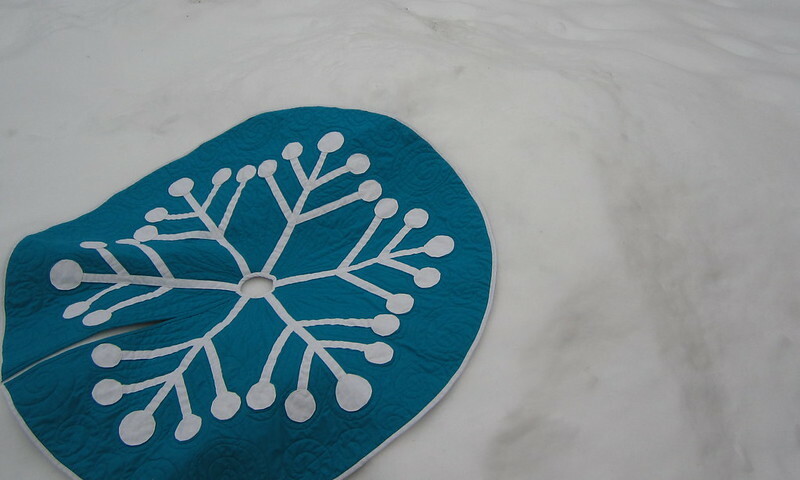 First of all, I finally finished removing the basting stitches from my snowflake Christmas tree skirt. Actually, I finished Sunday night, but things being what they are, I didn't have a moment to photograph it until yesterday. And I took lots, so brace yourselves! It looks awful pretty, doesn't it? I love this striking design! 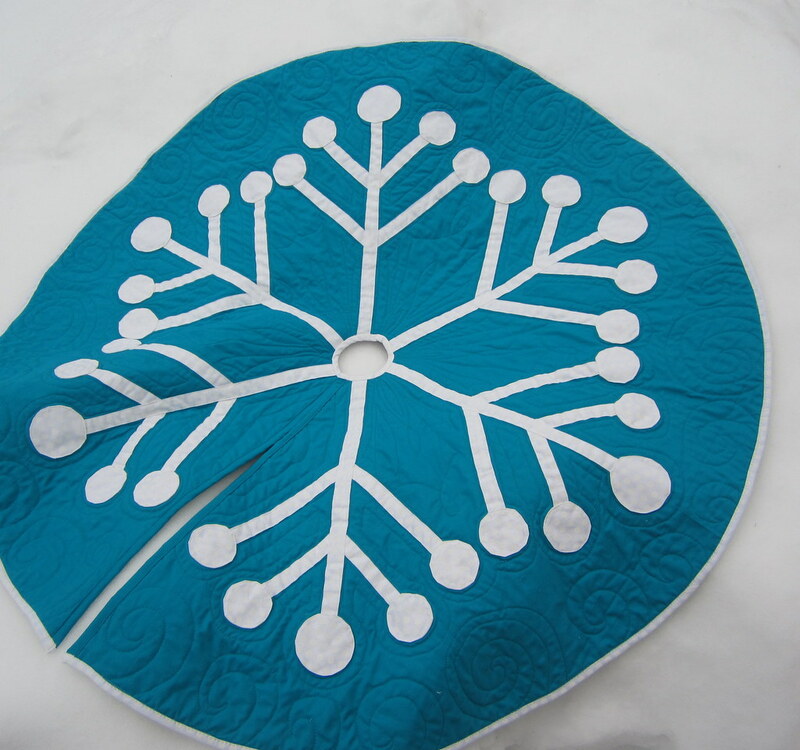 I took a class with the pattern designer Debbie Grifka on the tree skirt at Pink Castle Fabrics. 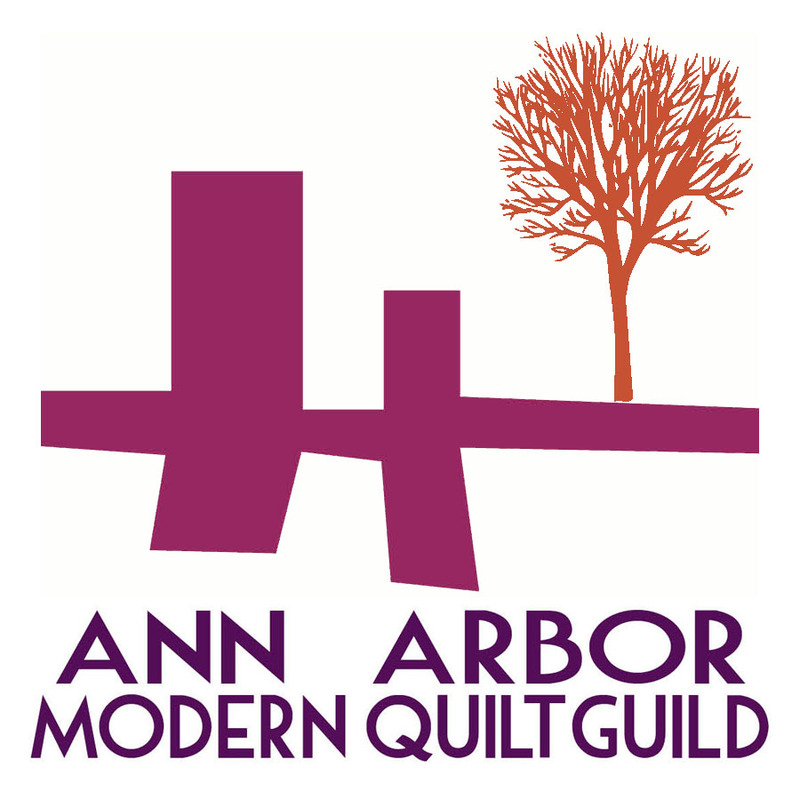 I love taking quilting classes! This is the second one I've had with Debbie on an applique technique. Debbie is a fantastic teacher! 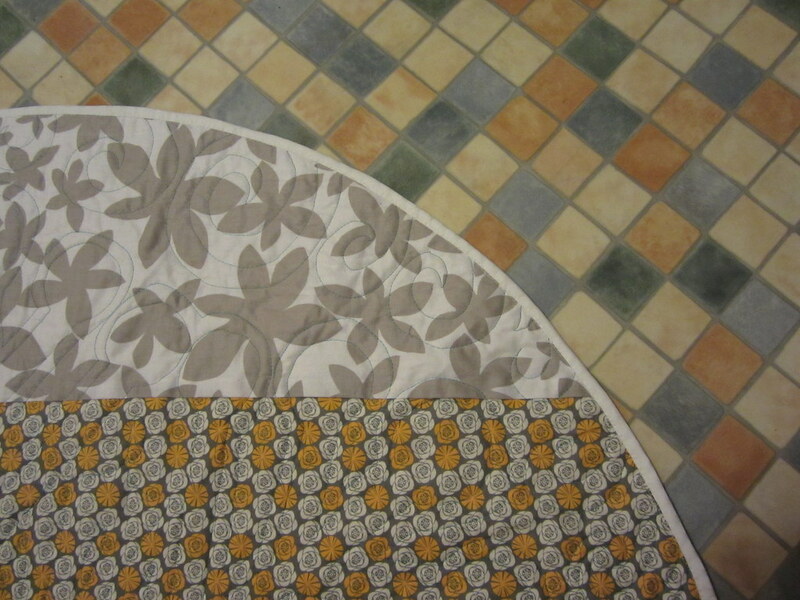 And here's my new kitchen floor! Only 10 more months till Christmas! For the back I used mostly this rose print from Birds of a Feather. I love this print! I managed to snag two of the three colors. But, so I could keep some in my stash, I filled out the edge with the leftovers of the Lotta Jansdotter print I used to back my Lotta Jansdotter quilt. Right? Here's the problem - white on white is a paint, rather than a dye. It changes the hand of the fabric, and worse, it's a paint. It lays on the surface, and every time you sew through it your machine (well, my machine, anyway) makes a horrible clunking sound. 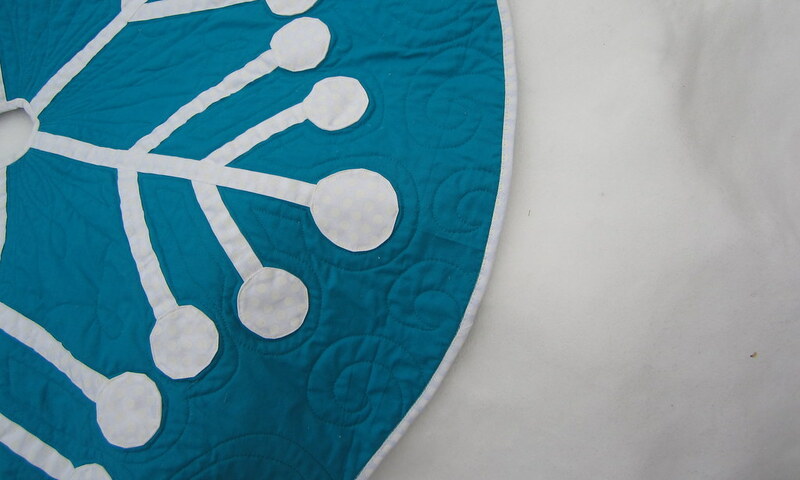 But the real issue is that if you have basting stitches, as one does in certain forms of applique, for instance, the sort that forms the branches of the snowflakes, the needle leaves a scar that does not heal in that paint. 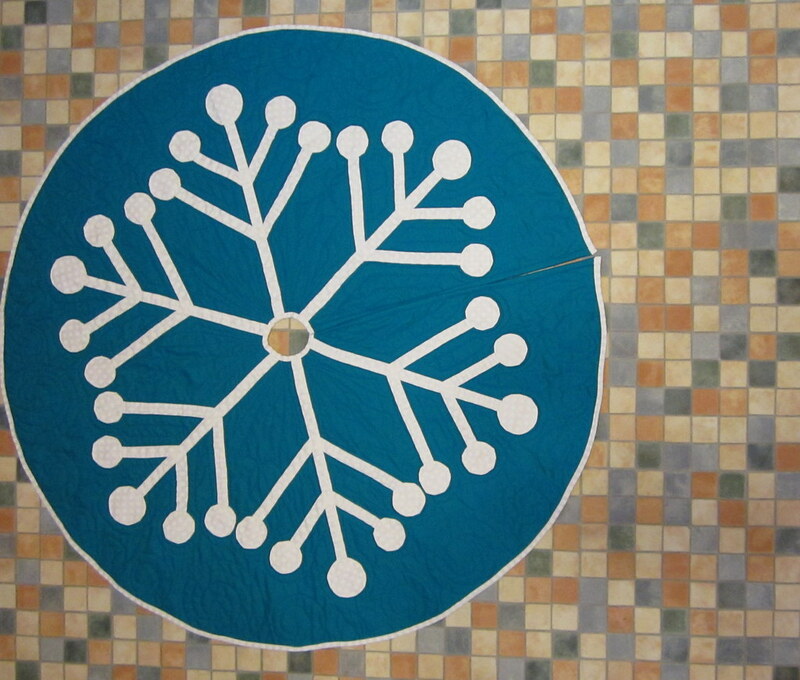 So my lovely snowflake is riddled with tons of tiny holes! It's one of those fabrics you can't make mistakes on. And that's not something I deal well with! I need to be free to make mistakes, damn it! It's just another case of not considering the fabric before starting the project! Living and learning, yes? I still intend to use it, but just not stare at it too hard. It will look lovely, covered in presents, right?